Lonely Planet have just listed the top 10 cities in the world to visit in 2017, and it was no surprise to us to see Bordeaux heading that list! Bordeaux is literally the best place in the world. It has everything! The city is beautiful, its cultural heritage is absolutely stunning, it’s always sunny (almost) and eventually if you get bored of Bordeaux Wonderland you can drive to the vineyards for a Bordeaux Wine tour, or to the beach in less than an hour. What more could you wish for?! As you might have realised I am Bordeaux’ biggest fan. So as I am planning my next trip to my favourite French city, I would like to share with you my top 5 things to do in the 2017 Best in Travel City according to Lonely Planet! The very name of Bordeaux is linked to wine, making a Bordeaux wine tour extremely popular! 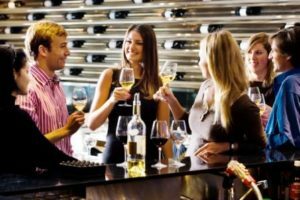 The surroundings of the city are renowned for their great Chateaux and top quality wines, but what about enjoying a premium introduction to the local wines with an experienced sommelier in a city centre wine bar? 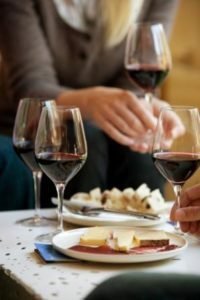 You will have the opportunity to taste three First Growth Bordeaux wines and options include Château Mouton Rothschild, Château Latour, Château Margaux, Château Haut Brion, Château Yquem and Château Cheval Blanc (subject to availabilities)! Now you need a very good excuse not to try that! 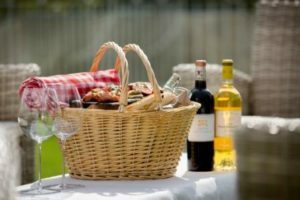 Let’s be honest after all these tastings on your Bordeaux wine tour you will be starving. The highly regarded restaurant le Gabriel is waiting for you. Enjoy a splendid six course gastronomic dinner in this unique restaurant overlooking the enchanting place de la Bourse. After dinner, cross the road and go to le Mirroir d’Eau (the water mirror) to stick your feet in the cool water. If the weather is nice, you will be able to admire the Place de la Bourse reflection in the water mirror. Truly magical! 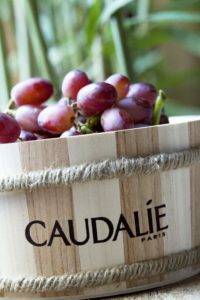 Created in 1999 les Sources de Caudalie is a true hidden gem in the heart of the well-known Château Smith Haut Lafitte’s vineyards. There, you will be pampered at the Caudalie’s Vinotherapy Spa. In the early 90s studies revealed that grapes have fantastic antioxidant properties and can help to fight ageing. Les Sources de Caudalie provides a good range of relaxing treatments (baths, wraps, scrubs, and massages amongst others) as well as charming rooms and top quality restaurants allowing guest to fully enjoy the experience. The Lonely Planet suggests walking along the Garonne river, to take in the “superbly grand architecture”, and sample “a decadent gourmet scene where freshly shucked oysters and succulent steaks take centre stage”. We agree, a great way to discover Bordeaux is certainly to admire the city from the river. I absolutely recommend taking an hour and a half river cruise on the Garonne River to discover the city in a totally different way. Your guide will regale you with tales and anecdotes of the history of Bordeaux, introducing you to its lovely bridges and maritime past.